Meta description: Highlife Luxury Travel Marketing comprises a strong team of experienced travel professionals led by Theresa Feeney. Highlife is a small team of experienced people who are big on delivering the very best service. With every new client, we visit the property, exercise a full review of the sales and marketing strategy and provide ideas on how to address any issues such as low occupancy periods, attracting new markets and branding. 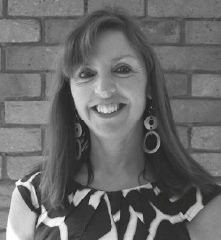 Theresa is a high calibre, well-respected travel professional with a wealth of experience in both UK and international hotel sales and marketing. A bright, vivacious personality is underpinned by a steely determination to get the job done and a total dedication to achieving results. She has spent much of her career focusing on luxury international hotels, representing renowned places such as The Phoenician in Arizona, Necker Island, Hotel La Residencia in Mallorca, Palazzo Avino in Italy, Sheraton Pine Cliffs in Portugal and Principe di Savoia in Milan. In November 2000, Highlife Marketing successfully launched Richard Branson’s game reserve Ulusaba in South Africa having never worked in this market before. The success of Highlife Marketing is thanks to the strong, long term relationships Theresa has built during the years prior to setting up her own venture. As Director of Sales for Starwood’s Luxury Collection, and subsequently Sales & Marketing Director for Virgin’s Hotel Collection Limited Edition By Virgin, she nurtured enduring and supportive links with agents and marketing partners across many different channels of the travel and leisure industry. This, coupled with an innate ability to develop and implement innovative sales and marketing strategies, makes Highlife Luxury Travel Marketing a winning choice for representation in the UK. 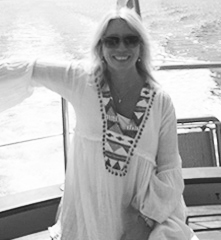 Lisa is a qualified copywriter and creative director with over 20 years experience working in the international travel advertising arena. Bringing a wealth of hands-on creative, marketing and presentation skills to Highlife, she is able to offer our clients an instinctive and informed perspective on all aspects of their branding. Holly assists the team with the marketing of properties represented by Highlife Marketing Ltd ensuring a high level of customer service to existing and potential clients. She is organised and creative with experience in supporting teams and assisting with marketing activities in a variety of different industries. 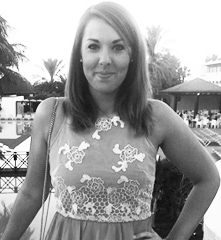 Holly had not worked in travel previously, and she really enjoys working in such an exciting and friendly industry. Holly is the linchpin of the team liaising with our agents and tour operators on a daily basis as well as our hoteliers.